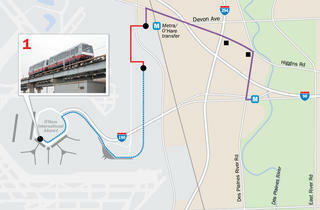 How to beat the Blue Line fare increase from the airport. 1. 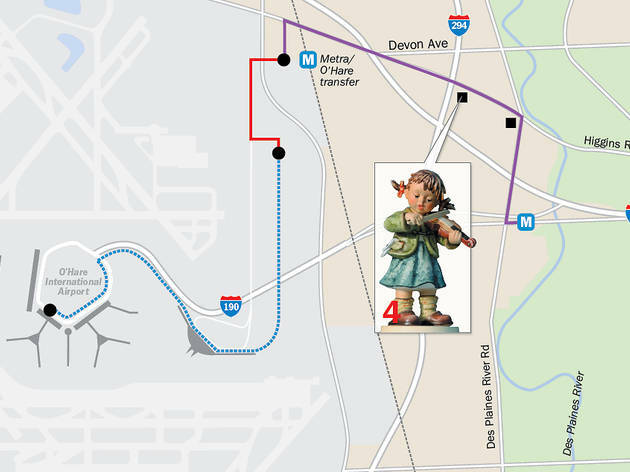 Ride O'Hare's Airport Transit System to the northern terminus, Lot E. Tourists onboard ooh and aah, mistaking the Disney-like tram for the El. 2. 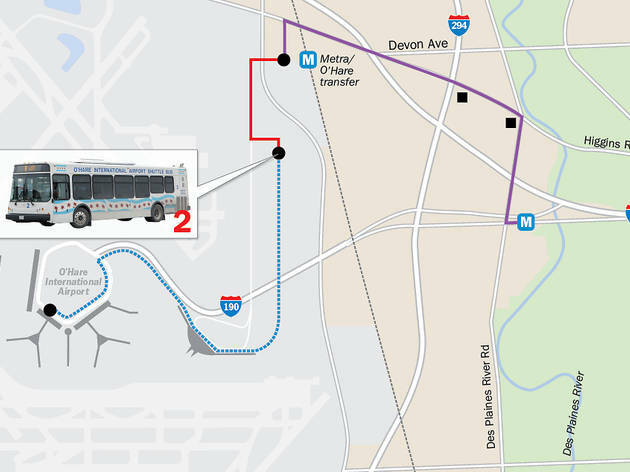 Jump on a shuttle bus to Lot F. In the "Cell Phone Lot"&mdash;at nearly three miles from the main terminal complex, O'Hare's most remote zone&mdash;drivers eye a board flickering with scheduled arrivals. 3. Hoof it north a few hundred yards behind the Holiday Inn. 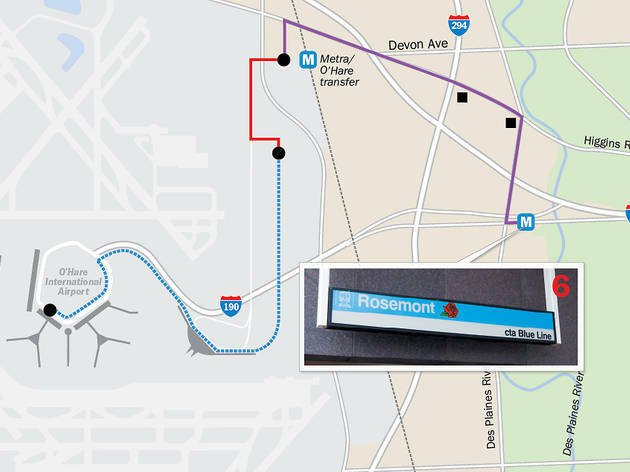 O'Hare ends, Rosemont begins, and obscure taxi companies (Elite? Horizon?) are as common as the planes whooshing overhead. 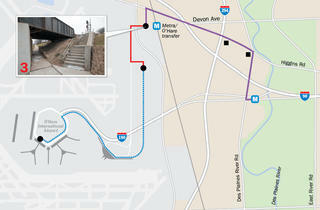 A stairway leads to Higgins Road. Take the busy street one mile southeast. 4. 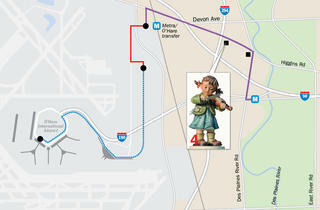 Try to resist the Museum of Hummels, an exhibition of creepy-cute figurines nestled in a strip mall. 6. 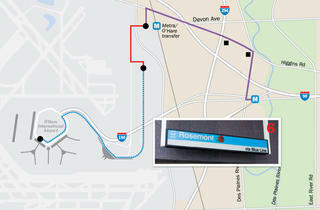 After heading south a half mile, the Rosemont Blue Line (5801 N River Rd) will be on the left. Savor the savings. 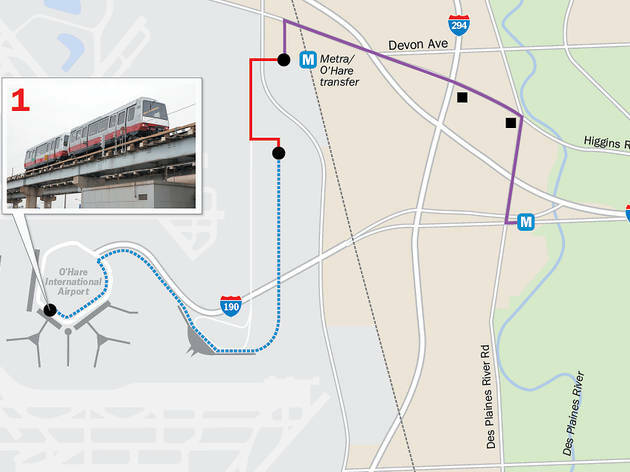 CTA fare increases kick in Monday 14, including a surcharge that makes it more than twice as expensive for some to board the Blue Line from O’Hare. 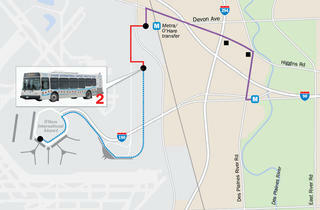 A one-way trip from the airport will cost $5, up from $2.25, for riders without passes paying single fares. 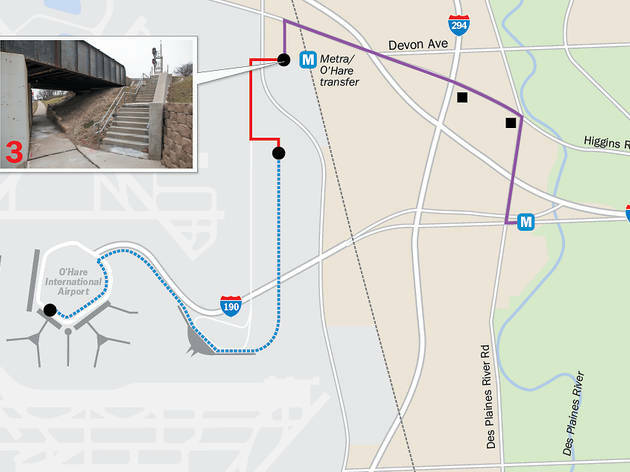 (The transit agency exempts O’Hare workers.) 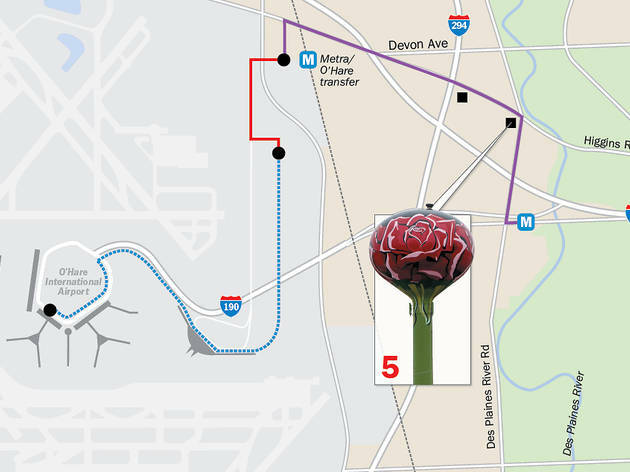 For penny-pinching tourists who’d rather put the $2.75 toward souvenirs and back-from-vacation Chicagoans who want to stick it to the CTA, good news: A free hack, however impractical, exists. 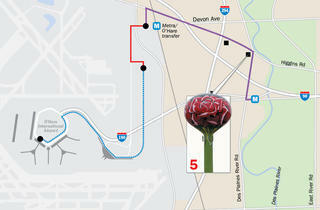 Herein, a guide to the 4.7-mile, hour-long trek from O’Hare to the Rosemont Blue Line, where the fare remains $2.25.